While many look to the winter months with joy, if you live in the San Francisco area you know that the same time of year is The Rainy Season. If it’s your first winter in the region, are you in for some surprises. You’ve heard the phrase ‘batten down the hatches’ right? Well, let’s just say that if you are accustomed to snow covering everything you own, in the San Francisco area you are going to see something else instead of white stuff. If you aren’t careful, you could be dealing with a flood situation. So, here are a few ways to protect your home during The Rainy Season. Water damage can be really nasty. Your roof is your primary layer of protection and it needs to be in tip top shape to keep the construction of your home from suffering any kind of water damage. Your best bet is to ensure all gutters are cleaned regularly to permit proper removal of rain. This is particularly important if the rainfall is heavy. You know, record setting or record breaking amounts which, by the way, do happen. Okay, we hate to break it to you but Santa won’t be using your chimney. In the San Francisco area he knows better. This means that you should have your chimney inspected to ensure all bricks are in place and that there are no gaps or other places where water (translation: high volumes of rain) can get in. Santa can use your front door without damaging your roof or chimney. Think about installing a chimney cap for added protection. Here’s something that can save your bacon in more ways than one. Have a sump pump in your basement and make sure it is in good working order. 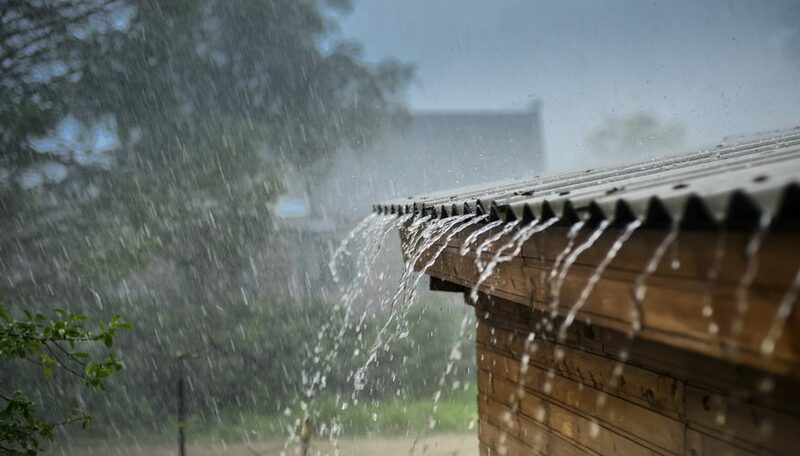 Heavy rainfall means the water has to go somewhere and if your roof and the rest of your house is in good shape, you may find leakage in your basement or crawlspace. A sump pump, set to work automatically, will remove excess water away from your home minimizing the potential of water damage. A dripping faucet, rumbling pipes behind a wall and wet spots on the floor are all signs that you may have a leak developing. Keep an eye out for dark spots on the ceiling as well. Anything that hints at a leak should be repaired by a plumber as soon as they are identified. The sooner you get these pesky little issues resolved, the less likely they can turn into something that ruins your holiday or knocks the daylights out of your property value.